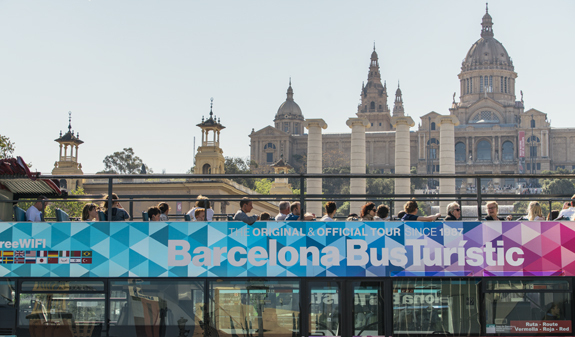 With this pack you can visit the entire city on the Barcelona Bus Turístic as well as L'Aquàrium de Barcelona. Conveniently and at your own pace! 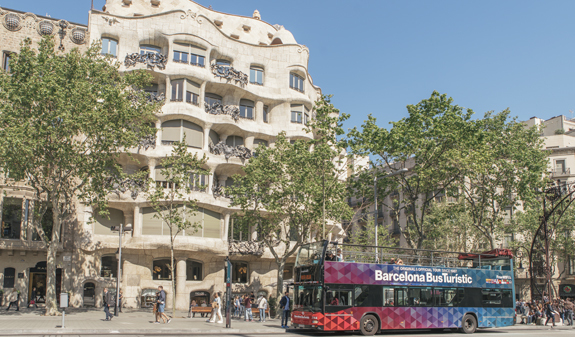 On the double-decker, panoramic Barcelona Bus Turístic you’ll be able to see the city’s main buildings, landmarks and attractions from your seat. The on-board audioguide, available in 16 languages, will tell you the most important things about the sights. You can get on and off the Bus as often and for as long as you like at any of the stops with the same ticket. 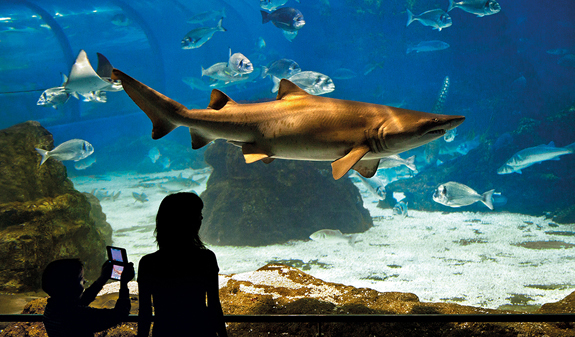 You will be also able to visit L'Aquàrium de Barcelona, the world's most important marine leisure and education centre dedicated to Mediterranean undersea life. Discover the seabed with its 66 Mediterranean and tropical tanks, which are home to 11,000 examples of approximately 450 different species. The biggest and most spectacular is the Oceanari, which is the only one in Europe. 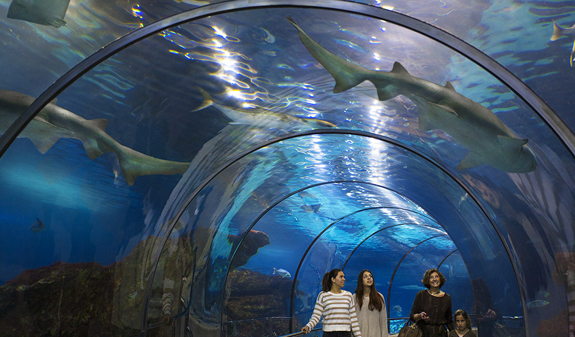 A transparent tunnel runs through the middle where you can walk among sharks, giltheads, morays, ocean sunfish, rays and many other species. 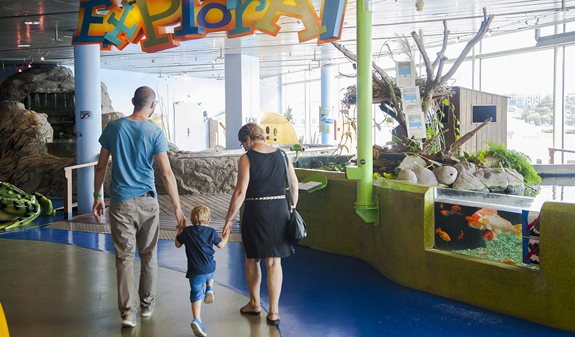 At the end of the visit, the little ones will be able to learn through play at the interactive space Explora, in Planeta Aqua and on the mezzanine of Planeta Aqua. A whole world waiting to be discovered!. 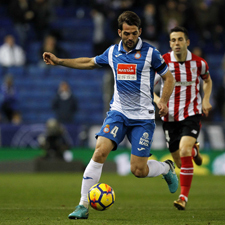 Once you have made your purchase, you will receive two vouchers you can exchange for the two activities included in the pack: Barcelona Bus Turístic and L'Aquàrium de Barcelona. If you do not take part in one of the activities, you will not be entitled to a refund for the corresponding amount. Informative guide in 3 languages listing the stops on the different routes. 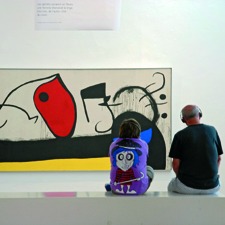 Audioguide in 16 languages: English, Catalan, Spanish, French, German, Italian, Japanese, Chinese, Portuguese, Russian, Dutch, Swedish, Finnish, Arabic, Hebrew and Turkish. Discount-voucher booklet for sightseeing attractions. Free direct-connection Wi-Fi on the Barcelona Bus Turístic. Smartphone app with information about the service and the city. Admission to L'Aquàrium de Barcelona, the interactive space Explora and Planeta Aqua. 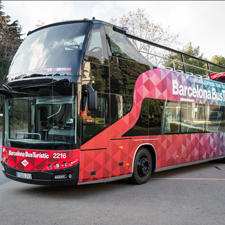 You can find information about the departure points for the Barcelona Bus Turístic at any of the stops. Address: Moll d'Espanya del Port Vell s/n. Metro: L3, Drassanes stop o L4, Barceloneta stop. Bus: 14, 59, 64, 120, D20, H16 and V17. Tiquet offices opens until one hour before closing time. Children under 3 years old, free entrance.